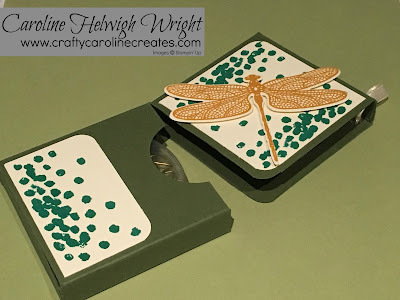 I love sharing my projects here and on You Tube and I am especially thrilled when that sharing results in somebody choosing to shop Stampin' Up with me. I really do appreciate every order and my way of showing that is to send a thank you gift to every customer, the month after they place their order. I use the hostess rewards accumulation to help me do this so please remember to enter the hostess code from the top right of my blog if your order is less than £150. 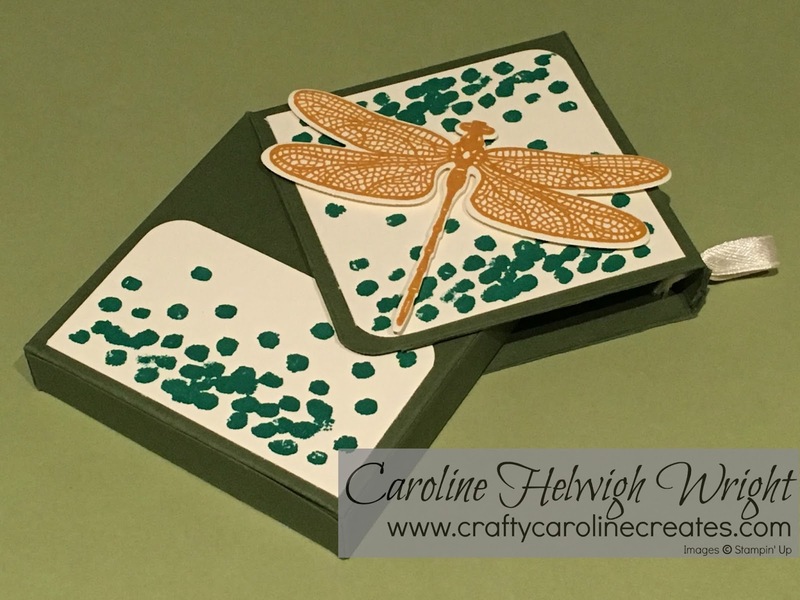 I also love making a special gift box for everybody too - it honestly is one of the highlights of my month. The box I designed for last month uses one of possibly my favourite stamp sets from the new catalogue .- Dragonfly Dreams, I just can't stop using it! One of my New Year resolutions is to try and use a wider variety of colours - so in the video I use Always Articoke and Delightful Dijon - but I really mixed up the colour combinations for my customers. I hope you liked the combination you recieved. To see just how the box is made and the lovely gift everybody recieved, click HERE. f you would like to recieve a copy of the new catalogue, it would be my pleasure to send one to you. Just click HERE to enter your details and I will pop one in the post. Score short side at ½, 3-1/4 and 6 inches.